He’s 12 years old this year. His little leg band says so. Jimmy is our example of how to be a good friend and an amiable companion. He never complains when Buddy harasses him or chases him out of the food dish or off a perch where he’s snoozing. He would be the peace maker among war chiefs or politicians, our little bird. Poise, dignity and wise comments just when needed, that’s just how he is. 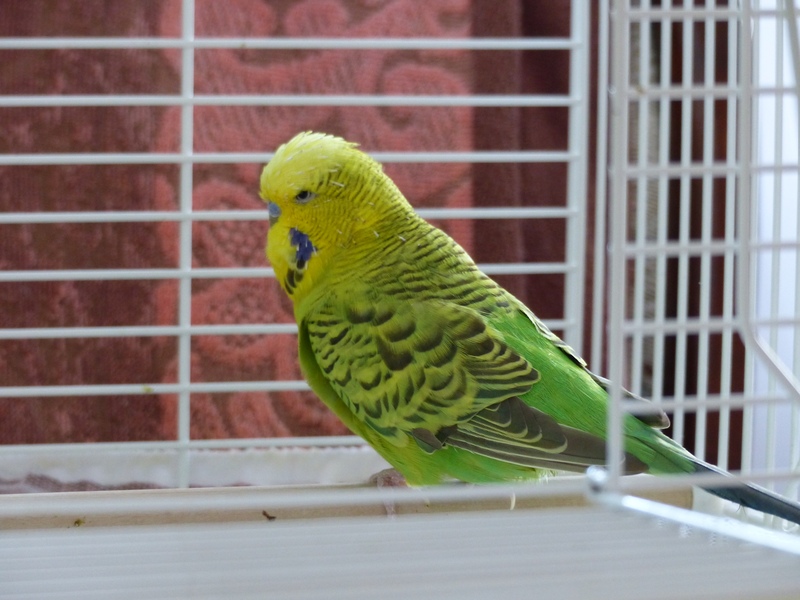 His own particular very unbudgie-like “Chee Qua” accompanied by an emphatic nod of his head is music to our ears. We figure he must have heard this sound during the months in the pet store before he became a wonderful birthday gift from my sweet daughter, Kira. No idea to this day what on earth kind of critter he took that from, but he made it his own!!! A toast to Wee Jimmy and all similar creatures who live in harmony with any and all beings. Previous I’M CELEBRATING!! Next Did you read Winnie the Pooh?